Sentimientos Digitales: Respalda todos los controladores (drivers) de tu computadora. Respalda todos los controladores (drivers) de tu computadora. Si quieres formatear tu computadora y se te han perdidos los CD’s donde tenias los drivers, no te preocupes, no pases horas buscando los controladores indicados para tu PC. Mejor antes de formatearla has un respaldo de todos los drivers de tu maquina. 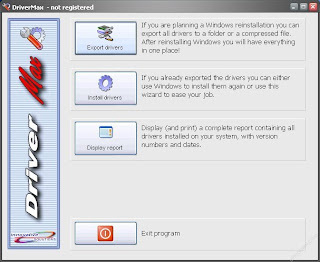 Haslo con DriverMax. Para que te pueda funcionar a la perfeccion tienes que entrar a la página del autor para que te den un serial y así puedas usar completamente Driver Max, solo tienes que dar tu nombre y tu correo electrónico y te enviara un correo con el serial. I just read on another forum about a 15 year old girl who was at a pool party, and kicked another girl's iPhone into the swimming pool on purpose. The unit was right next to the edge of the pool, and while no one was looking, she kicked it in. People still think it fell in accidentally. It turns out that the girl was envious and thought that the other girl is a spoiled brat cuz her parents buy her everything (including the iPhone) and she never has to work to earn anything on her own.